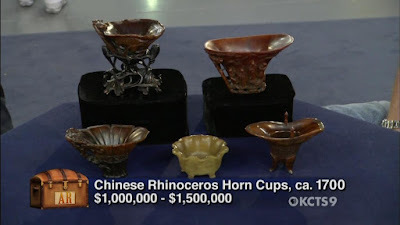 I took a screen shot off my TV of these carved rhino horns and elephant tusk while watching the PBS Antiques Road Show. Write a letter/email to PBS asking them not to show these items because by doing so they become coveted status symbols. By refusing to show them, they become symbols of shame. 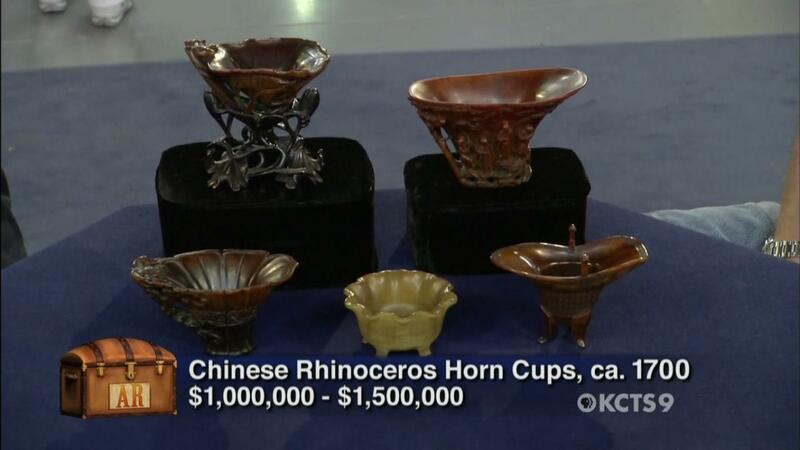 The old guy who brought in the rhino horns had invested about $1,500 in them. 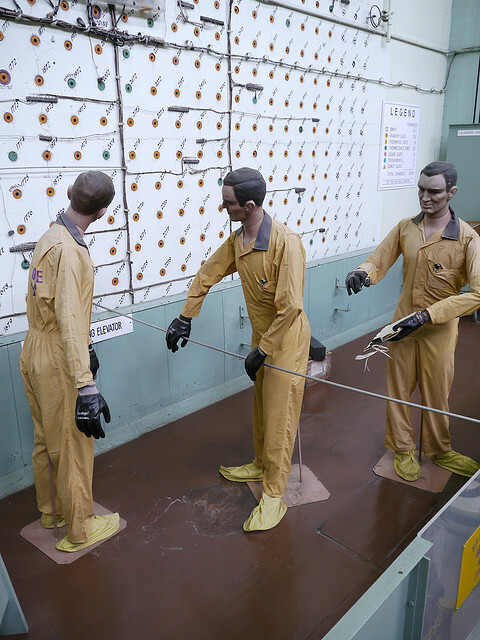 They are now worth up to $1.5 million dollars. These are nothing but status symbols. The demand for these items by the newly wealthy in Asia has sent the price through the roof. The Javan rhino was declared extinct in Vietnam last year when the last one was found dead with its horn removed. Poaching of elephants and the illegal trade in their tusks and related ivory products were out of control in 2011, with more than 2,500 animals confirmed killed and thousands of kilograms of tusks seized by customs officials around the world. 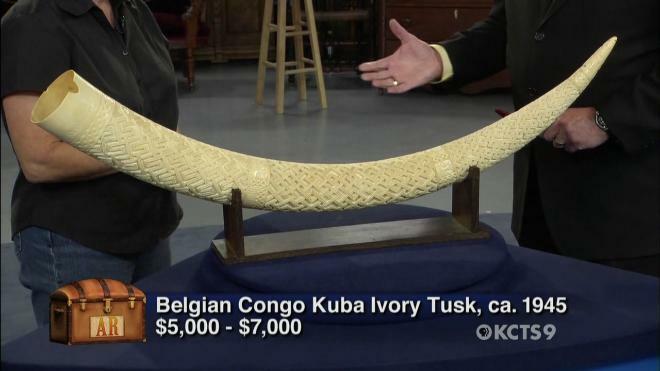 This was the worst year on record since the international ivory trade ban was established in 1989, according to TRAFFIC, the wildlife trade monitoring network. In my book, Poison Darts--Protecting the Biodiversity of Our World, I proposed the establishment of an international wildlife protection service analogous to the United Nations Peace Keeping Forces. Maybe it's time to consider something like that for real.